Injecting CO2 into oil reservoirs can improve the oil recovery, meanwhile achieve CO2 storage. The diffusion of CO2 in oil-water systems has a substantial impact on this process. The interface significantly affects the mass transfer of CO2 between oil and water phase. 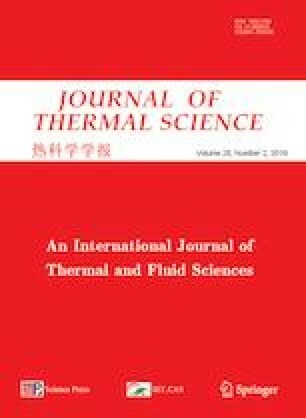 In this paper, based on the determination of the CO2 diffusion coefficient in oil or water phases, the diffusion processes of CO2 from oil to water were experimentally investigated under different pressures. A numerical method was proposed to calculate the pressure drop and the diffusion coefficient in the process of CO2 diffusion from oil to water. The experimental results indicated that the CO2 diffusion coefficient in oil or water increased rapidly with pressure up to the critical pressure of CO2 and gradually slowed down thereafter. The CO2 diffusion from oil to water was much slower than that in oil or water. The diffusion coefficient of CO2 from oil to water was one magnitude lower than that in the single liquid phase of oil or water, and the effect of pressure was not significant. Based on the diffusion coefficient of CO2 in a single liquid phase and the proposed numerical method, the pressure drop and the numerical diffusion coefficient in the process of CO2 diffusion from oil to water were calculated. The relative errors between the experimental and numerical results were within 9%. Therefore, the numerical method proposed herein can be used to predict the diffusion process of CO2 from oil to water and the diffusion coefficient associated with this process. This study is financially supported by National Natural Science Foundation of China (No. 51574264), National Science and Technology Major Project of the Ministry of Science and Technology of China (No. 2016ZX05056-001), Shandong Provincial Natural Science Foundation, China (ZR2015EL015).